Fisheye lenses are great for capturing extreme wide-angle shots of wedding ceremonies, but they can also be used to make unique portraits as well, as you can see in this posed image of a bride and groom. 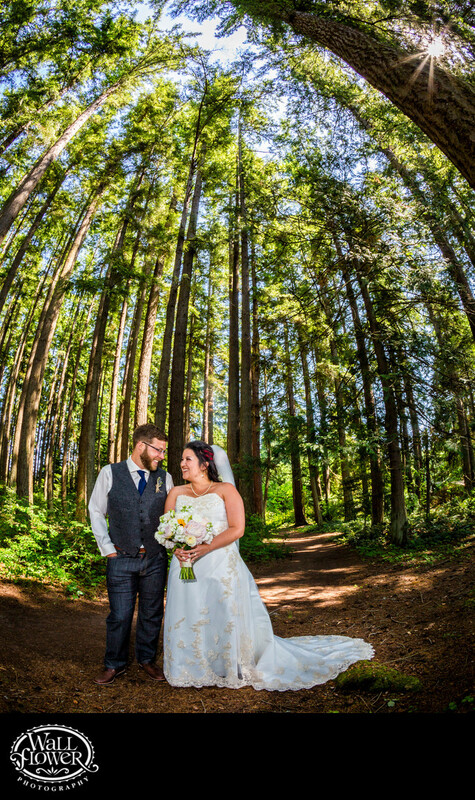 They are standing on a forest path near their ceremony site at Kitsap Memorial State Park in Poulsbo, Washington. The fisheye lens allowed me to keep the bride and groom relatively large in the photo while capturing both their feet and the tops of the trees towering above them.